Currently sat at No.1 at the world ATP rankings, Raphael Nadal is one of biggest stars to ever grace the tennis court.  With monumental sponsors from the likes of Nike, Tommy Hilfiger and KIA – he is a world renown sports star with a huge trophy cabinet made up of multiple grand slam victories against the likes of Roger Federer, Andy Murray & Novak Djokovic. 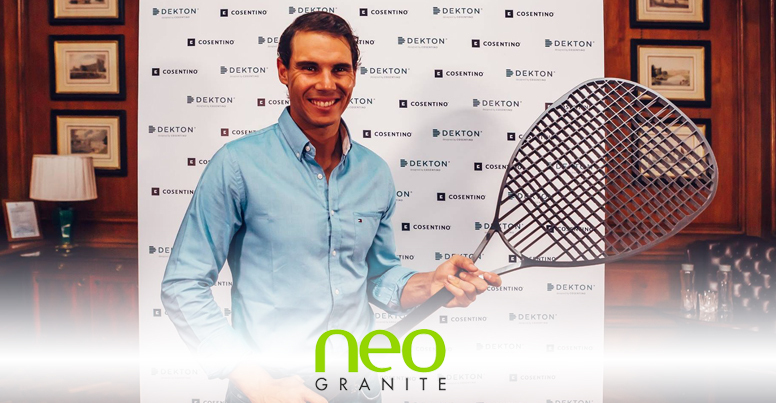 The team at Neo-Granite are very excited to announce that they are responsible for creating the statement piece for the Cosentino UK and Ireland event in honor of Raphael Nadal himself. The piece itself was a tennis racket made using the premium quality, ultra-compact material known as Dekton. Dekton is a truly unique material as it has a number of potential uses such as worktops, flooring, cladding, facades and statement pieces as the one that has been created below. We created Rafael a tennis racket to better celebrate this wonderful occasion, using the most premium materials, crafted with cutting edge water-jet technology – we we’re able to achieve something truly brilliant. We we’re invited to manufacture this in partnership with Dekton by Cosentino, who originally organised the event to launch the new Dekton Industrial Collection within the British market. It was an amazing event in London which bought so many people together, Rafael Nadal as brand ambassador being the main attraction. It was Rafael’s choice to choose Dekton as a main sponsor of his tennis academy in Manacor, and he gave a presentation to a variety of people including clients, stakeholders and distinguished members of the London architect and design community. Celebrated in the London Marriot Hotel, the event caught the eye of the BBC as sports journalist Garry Richardson moderated and documented the event. As always, we are always looking for the next adventure and hope this can help springboard us into the bespoke individually designed market as we have shown, the only limits are your imagination . We were very excited for 2018 and we can’t wait to see what it has in store for us.